Introducing the Light Beam LB-BC Bi-Cone Antenna! Light Beam Antenna & Apparatus, LLC is pleased to present our latest offering, the Model: LB-BC Bi-Cone Antenna! The Bi-Cone antenna is essentially a finite length dipole antenna that exhibits very wide resonant bandwidth performance. This is unlike the more common 1/2 wavelength dipole antenna, which is resonant at only a narrow band of frequencies. In addition, the Bi-Cone antenna range of near resonant frequencies is determined by a combination of the angle of the elements and the element lengths. However, the 1/2 wavelength dipole antenna range of near resonant frequencies is determined principally by the element lengths. shaped structures consisting of conductors that are interfaced at vertices terminating the outside ends of the antenna. The Bi-Cone antenna has a very wide bandwidth and can exhibit bandwidths of over 10 times the minimum design frequency. 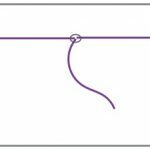 The more common 1/2 wavelength dipole, made of wire, has a bandwidth of typically 0.5 times the minimum design frequency. The Bi-Cone Antenna designed by Light Beam Antenna & Apparatus (Model: LB-BC) has a bandwidth well over 10x the minimum frequency. The Standing Wave Ratio (SWR) is 2.0:1 or less from 50 MHz to well over 500 MHz. What are my impedance options? Proper impedance matching ensures maximum signal transfer between the antenna and equipment. At VHF and UHF frequencies, it is important that a good quality coaxial cable is used to minimize feed line losses. The impedance of the Light Beam, LB-BC Bi-Cone antenna varies between 35 Ohms to 100 Ohms depending upon the frequency. Therefore, 50 Ohm coaxial cable or 75 Ohm coaxial cable are optimal choices for this antenna. With a Type-F coaxial connector available at the antenna, this feed line option provides the user flexibility when interfacing with equipment having either a 50 or 75 Ohm input/output impedance. What is the best way to mount this antenna? The Bi-Cone antenna can be oriented horizontally to provide horizontal polarization or vertically to provide vertical polarization. When mounted horizontally, the azimuth radiation plot is bi-directional having major lobes broadside to the antenna axis. The radiation elevation angle is dependent on the height of the antenna over the ground. When mounted vertically, the azimuth radiation plot is circular. The antenna is omnidirectional. The radiation elevation angle is very low with maximum radiation near zero degrees regardless of the antenna height. How can this antenna be used? How is the Light Beam LB-BC Antenna constructed? The Light Beam LB-BC Antenna is manufactured to ensure trouble-free operation for many years. The central support structure incorporates a laminated fiberglass structure. The fiberglass material is UV stabilized to resist degradation from exposure to harsh sunlight. The laminated fiberglass boom is also a very strong structure to ensure survival when exposed to snow, ice and high wind loading. The antenna elements and the element end vertices consist of high quality 6061-T6 aluminum and all hardware is stainless steel to resist corrosion over time. The boom-to-mast coupling is also corrosion resistant. The Light Beam LB-BC is 8 Ft. / 2.43 M. long and 2 Feet / 0.61 Meters in diameter. Weight is approximately 3 lb. / 1.36 kg. Our recommended antenna feed-line impedance is either 50 Ohms or 75 Ohms to match the equipment input/output impedance. 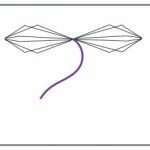 Our recommended antenna orientation is either vertically polarized or horizontally polarized dependent on the application and deployment. Cross polarization may be acceptable but a 20 dB or more signal strength reduction may occur. The antenna gain and radiation patterns of the Bi-Cone antenna are similar to the simple 1/2 wavelength dipole antenna. Your Help and Input Are Needed! Light Beam Antenna & Apparatus, LLC is currently finalizing the design of our Model: LB-BC Bi-Cone antenna and we are currently field testing our pre-production prototypes. 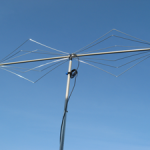 We need your input to ensure we manufacture an antenna that best meets your needs. 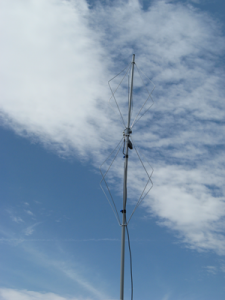 Please visit our website at www.LightBeamAntenna.com and look at our currently available antennas and apparatus. Then please send us an email with your input and recommendations. Alternately, you can complete this survey online at http://tiny.cc/bi-cone. What do you like about our current products? Do you operate equipment, both transmitting and receiving, at VHF and/or UHF frequencies? What do you like about our new product, the Light Beam LB-BC Antenna? For what application(s) would you like to use our Light Beam LB-BC Antenna? Please list all the possible uses you may have of the antenna and rank them in order of importance. Will you use the antenna from a base station or mobile station? Would you like to be notified when the Light Beam LB-BC Antenna is available? Remember, you can use our online survey link at http://tiny.cc/bi-cone, or simply reply to this email with your answers, input and recommendations at wfreiert@LightBeamAntenna.com.